Educators are often looking for ways to incorporate STEM activities into their travel programs. 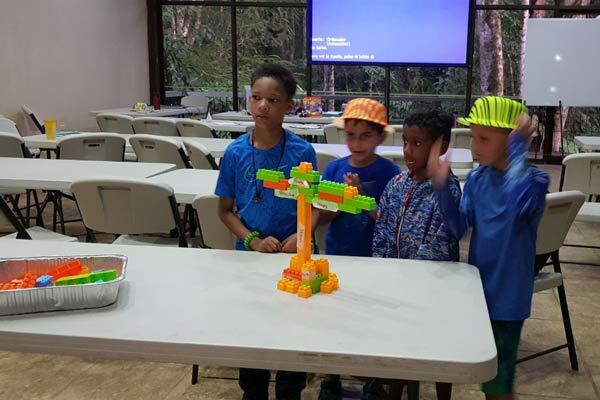 In April, a group of eight first-graders from Orlando Science Elementary School traveled to Costa Rica for six days, successfully using age-appropriate, experiential activities to show STEM concepts at work in the real world. The school prides itself on a STEM-based curriculum, and students were accompanied by three of the school’s teachers as well as parents and other family members. 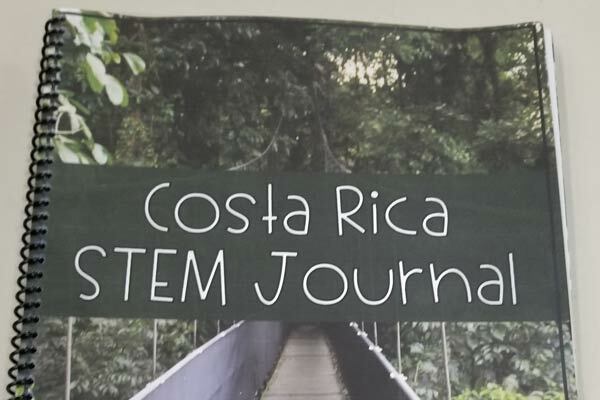 The first half of the experience was centered around Arenal Volcano in northwestern Costa Rica, beginning with a discussion on geothermal activity and the area’s naturally heated springs. Through a hands-on STEM activity using bottles filled with hot and cold water dyed red and blue, students learned about heat transfer—the movement of thermal energy from one object to another or between an object and its surroundings—and the difference between conduction, convection, and radiation. The following day, students were able to experience the hot springs firsthand while discussing the effects of the volcano on the water. A visit to a hydroelectric dam provided an opportunity to see how the dam was engineered to harness energy from Lake Arenal, producing almost 12 percent of the country’s electricity. 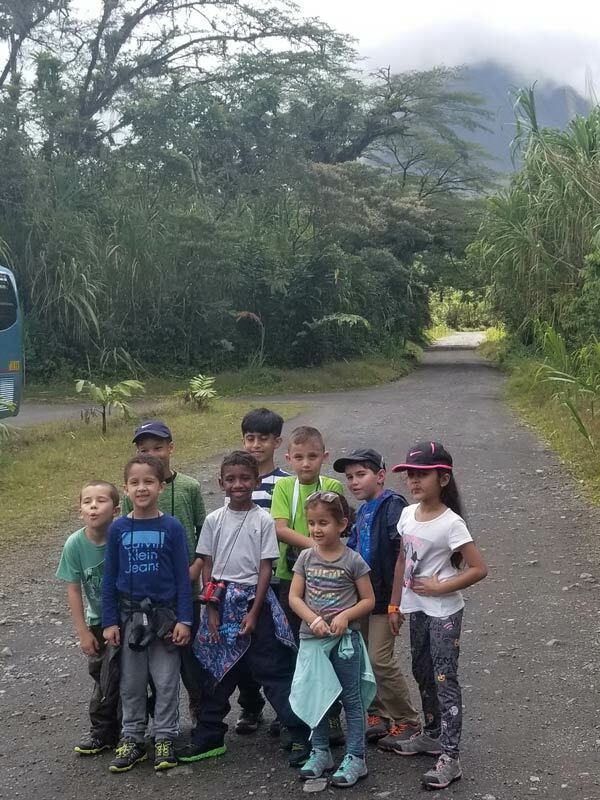 A hike around the base of Arenal allowed students to study the volcano’s geology while observing local flora and fauna. Next, the group spent several days studying a different ecosystem in Sarapiquí in Costa Rica’s Caribbean lowlands. At Selva Verde Lodge, whose reserve protects 500 acres of primary and secondary rainforest, they attended a presentation on general rainforest ecology, structure, and function, and then headed out into the primary forest for hands-on experience, up-close and in person, with the ecological concepts they had learned. They observed the different types of plants and animals that inhabit different layers. During one hands-on activity, students were instructed to find leaves and make prints of them. They learned about the importance of trees to the ecosystem and calculated how much CO2 they absorb. Students also participated in a hands-on activity where they built their own trees out of Legos. After they got the parts correct, they built a tree out of materials collected in the forest that had fallen on the ground. 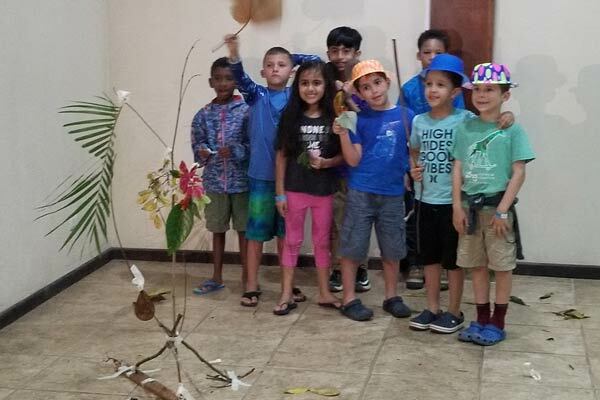 After learning about the importance of trees, students gave back during a reforestation project with the Sarapiquí Conservation Learning Center (SCLC). 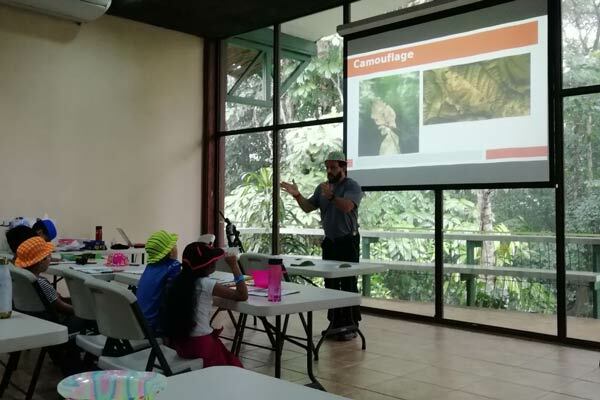 The SCLC's mission is to support conservation through educational programming and community development, and they tied this project into Earth Day. 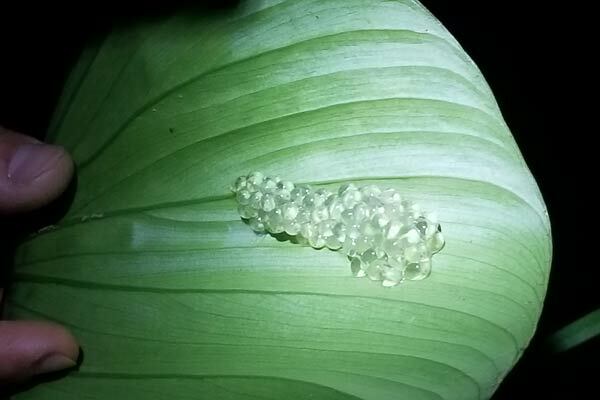 Other highlights of the trip included using binoculars to look for birds like toucans, hummingbirds, and trogons, and a guided night walk around the lodge in search of nocturnal creatures including frogs, bats, kinkajous, and hundreds of species of insects. The students cannot wait to come back next year to explore all that Costa Rica has to offer!